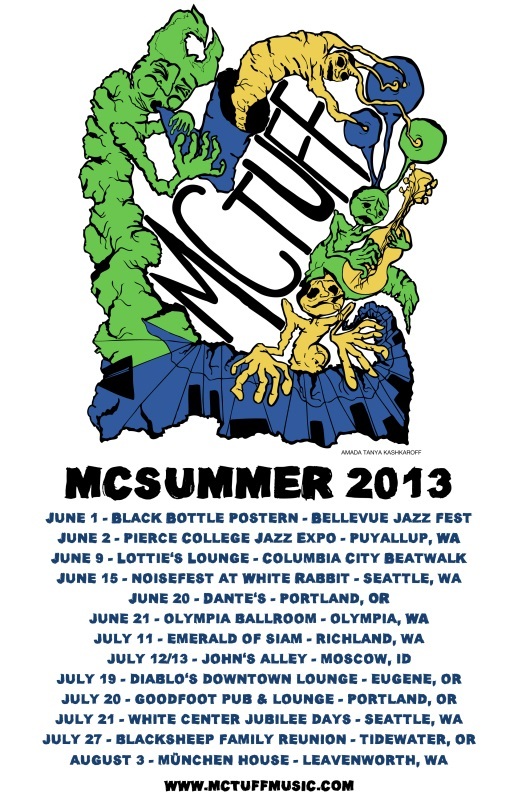 After a September break I’ll be hitting the road with McTuff to get the word out about our new album ahead of its official release early next spring. The month ends with an awesome three-show Halloween run along with Crack Sabbath at Tractor, Green Frog, and Goodfoot. TO THE ROAD! Lots in store for both bands this month, with out-of-town trips for McTuff every weekend and Hardcoretet spending four days at Robert Lang Studios recording our third album. Highlights include Hardcoretet at the Jazz in the Valley festival in Ellensburg, McTuff at Tidewater, Oregon’s Blacksheep Family Reunion, and a gig with one of my favorite groups Richie Aldente. 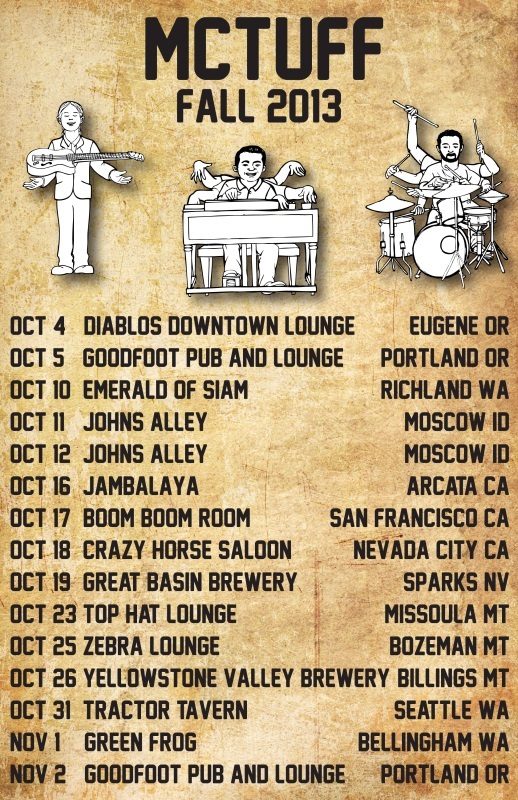 Looking forward to playing music all over the northwest!